Yesterday, you had stated in your press conference: “If anybody has any good ones (trick plays), go ahead and shoot us an email. We’ll gladly field that you request.” Although, I am no where near your level of expertise, I do not consider myself an offensive juggernaut. But I do consider myself one in NCAA Football 2008, RIP. 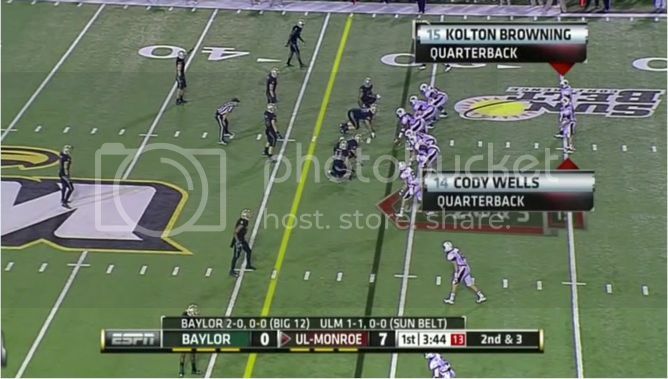 ULM ran a number of plays with two quarterbacks on the field at the same time against Baylor in 2012. 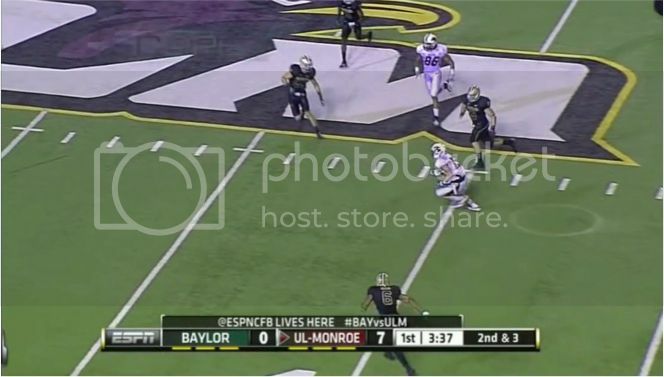 Though it was a valiant effort by ULM, Baylor won the contest 47-42. But that is beside the point. Let’s get to the ‘trick play.’ Here is the original formation for ULM. Although you can’t see him in this shot, #14 QB Cody Wells is on his own 30 yard line at the top of the shot below. The quarterback claps with his hands one time, and the shifting begins. The running back has now replaced Wells on the outside, and you see three wide receivers on the left side of the line of scrimmage. QB Wells has now replaced QB Browning in the shotgun. Browning is in the running back position to the right of Browning. It’s fun seeing this unfold as ULM has shown a read option look. Somewhat similar to what you ran against Colorado State. Wells is looking at the defensive end to see whether or not he commits to Browning or him to make a decision. Wells hands it off to Browning and shows run. Wells does have the option to run the ball pending what they see from the defense. But Baylor bites hard and the linebacker below has his eyes on Browning. Now, Wells is a left handed passer and it’s obviously much easier to roll out to the left and throw it left, than it is to roll out right and throw across your body. But you already knew that. 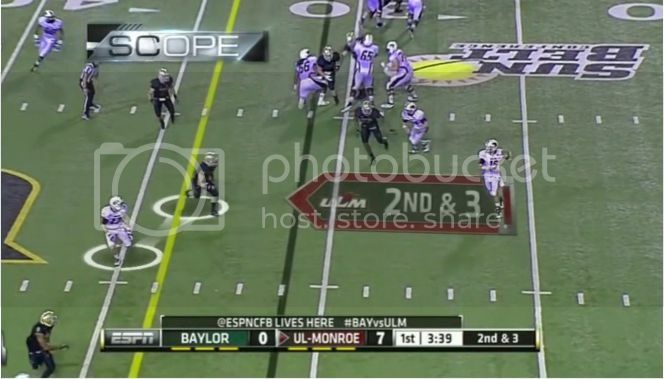 As the Baylor linebacker bites on the read option, ULM wide receiver releases for an easy first down. The next play, ULM ran the same look; this time with Browning in the shotgun and Wells in the running back position. Wells gets the carry in the backfield and throws a completion to his wide receiver for another first down. 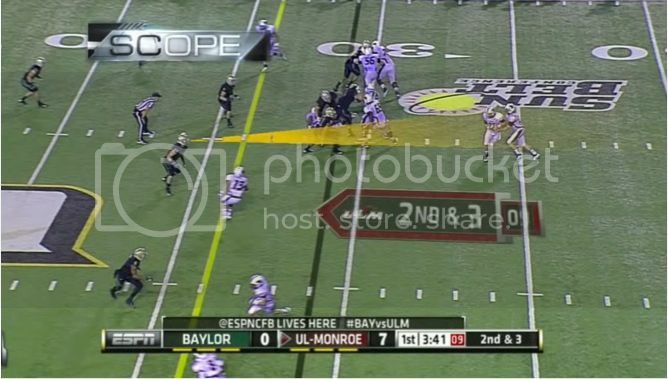 Ultimately, Baylor was so tired of seeing that play they called a time out to talk things over. Mr. Sanford, we all like Matt Miller throwing the ball as much as you do. The reverses, all the gadget plays that make Boise State, Boise State. I know I speak on behalf of many Bronco fans, we want to see some of backup QB Ryan Finley. Seeing Finley and Hedrick both playing in a dual QB formation for just a series would bring much joy and gladness to the hearts of Bronco Nation. I hope that you take in consideration of this trick play I have sent you. 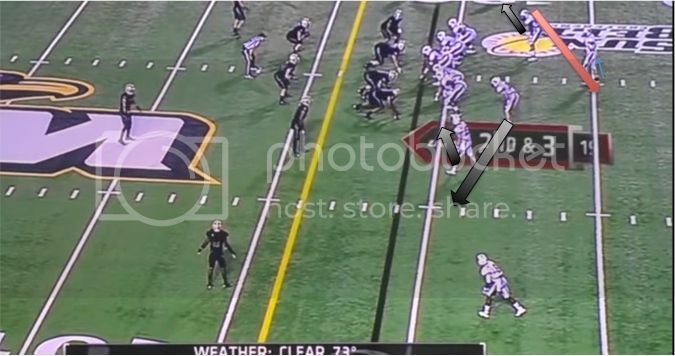 If you need more evidence, please watch ULM’s 2 QB system below.